A new entry lobby was designed on the south end of this historic turn-of-the-century museum. Featuring a triple-height glass façade, the open plan features views of the western range of the Rocky Mountains. The curving ceiling planes are oriented to astronomical tangents such as the summer and winter solstice, equinoxes and lunar events. Architectural and theatrical lighting techniques were used by Auerbach Glasow in combination to accent the dramatic ceilings, as well as provide functional lighting for the rooms below. 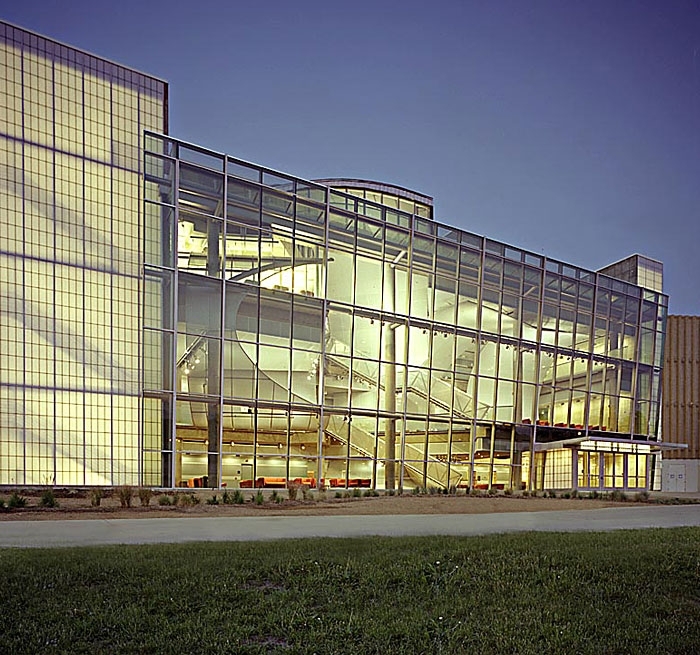 The Gates Planetarium, adjoining the lobby, provides the city of Denver with a world-class planetarium on a national scale. The dome of the planetarium can be tuned to virtually any color using the three-color strip lighting hidden at the perimeter horizon. 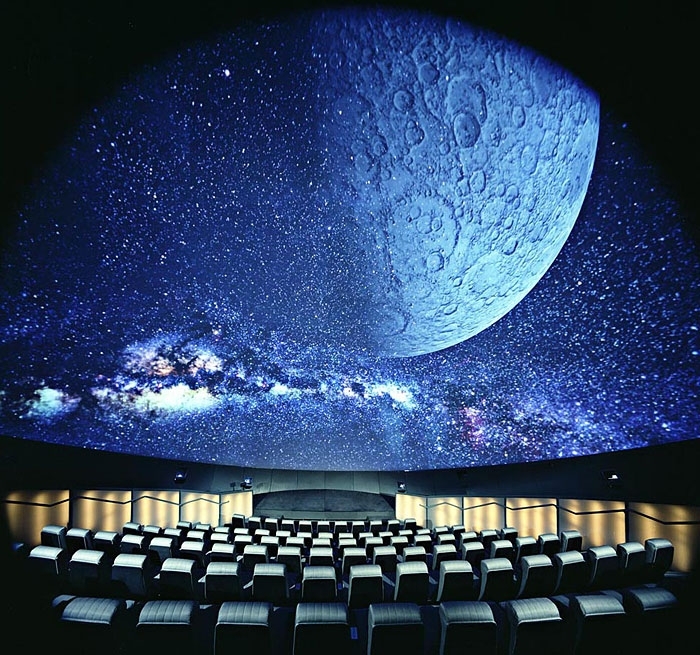 The Planetarium complements the natural, geological and biological science and also enhances the state-of-the-art exhibits that were already in place at this well-known institution.